More than 1,000 industry NAIOP Chicago’s 29th Annual Awards for Excellence professionals attended, Nov. 17 at Navy Pier, to network with colleagues and celebrate a year of extraordinary deals. Each year, NAIOP Chicago recognizes the outstanding developments, transactions, and special categories in Chicago’s real estate industry. Attendees chose winners in 16 development, transaction and special categories with live voting at the event. 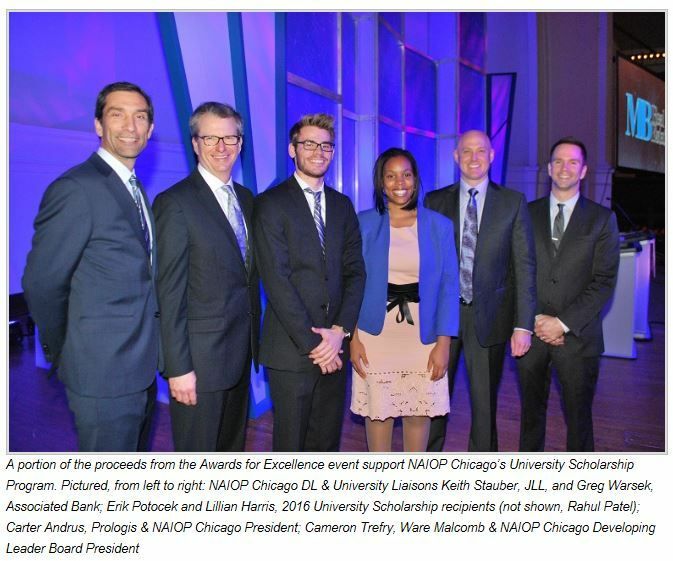 This year’s proceeds from the annual Awards event support NAIOP Chicago’s University Initiative, which fosters development for the next generation of industry leaders.